Faculty members from the Auburn University College of Veterinary Medicine have published the third guide in a four-book series on equine anatomy and separate guide covering goat and cattle anatomy. The books titled, “Equine Anatomy Guide: The Head and Neck, an Illustrated Guide” and “Guide to Ruminant Anatomy: Dissection and Clinical Aspects” are available through John Wiley & Sons Inc. publishing. The books are illustrated dissection teaching guides for veterinary students but will also be helpful to practicing veterinarians in mixed- and large-animal practice and clients for visualization. “Equine Anatomy Guide: The Head and Neck, an Illustrated Guide” is authored by Dr. Mahmoud Mansour, professor in the Department of Anatomy, Physiology and Pharmacology, who is also coordinator of the large animal gross anatomy section. Dr. Janet Steiss, professor emerita, edited the book and compiled it online for private publication. Dr. Paul Rumph, professor emerita, authored the chapter covering the teeth, blood vessels and nerves. Dr. Dewey “Ray” Wilhite, coordinator for the gross anatomy laboratory, contributed to the dissections and images throughout the book. “Guide to Ruminant Anatomy: Dissection and Clinical Aspects” is authored by Dr. Mansour, Dr. Wilhite and anatomy instructor Dr. Joe Rowe. Past equine anatomy guides have contai ned only black and white images, and Dr. Mansour designed the style of his guide series to include colorful, detailed illustrations to help students understand equine anatomy more effectively. “Equine Anatomy Guide: The Head and Neck, an Illustrated Guide” is the third in a series of four books planned on equine anatomy. The first two covered the forelimb and hind limb, respectively. This third book on the head and neck contains 142 illustrations in 90 pages. “Guide to Ruminant Anatomy: Dissection and Clinical Aspects” presents a concise, clinically relevant reference to goat and cattle anatomy, with 224 color schematic illustrations and embalmed arterially injected prosection images for comparison. The guides are available in all veterinary libraries worldwide. Dr. Mansour hopes the equine books will become the new standard of equine anatomy guides. “Guide to Ruminant Anatomy: Dissection and Clinical Aspects” is particularly designed for first-year veterinary students who are learning ruminant anatomy for the first time. The fourth and final book in the equine series – which will be titled “Equine Anatomy Guide: Body Cavities,” is set to be published in September. Upon completion of the four-volume set, the series will cover the entire horse’s anatomy. Several veterinarians contributed to the book’s success, including Dr. Carol Akers of Junction, Texas, for many photographs on the teeth; Dr. Fred Caldwell, an equine veterinarian at Auburn for endoscopy images; and Dr. Phillip Garrett, a retired Auburn anatomy professor, for illustrations of the teeth. 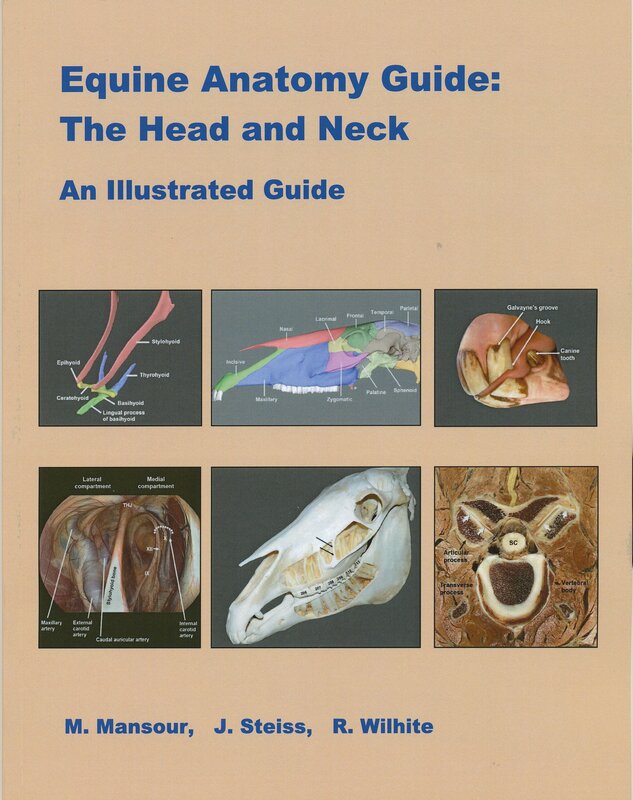 For more about the book, visit http://www.blurb.com/b/7031901-equine-anatomy-guide-the-head-and-neck. For more information on the previous book in the series, visit https://www.youtube.com/watch?v=7RzWOWj1ZUU. 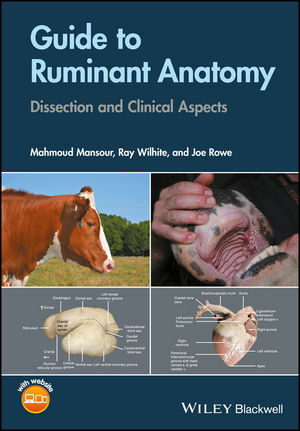 For information about “Guide to Ruminant Anatomy: Dissection and Clinical Aspects,” visit http://www.wiley.com/WileyCDA/WileyTitle/productCd-1119051029,subjectCd-VE20.html#. The College of Veterinary Medicine is the South’s oldest and nation’s seventh oldest veterinary medical program, celebrating 125 years. We prepare individuals for careers of excellence in veterinary medicine, including private and public practice, industrial medicine, academics, and research. The college provides programs of instruction, research, outreach, and service that are in the best interests of the citizens of the state of Alabama, the region, the nation, and the world.